It’s hard not to notice the loss of $2 trillion in four weeks. But while many fretted about Greece and whether it would remain in the Euro zone, the world’s next potential financial crisis picked up speed in China. June 15 was expected to be a good day for China’s two stock markets, in Shanghai and Shenzhen, because it’s Chinese President Xi Jinping’s birthday. But when the history of this bubble bursting is written, that date will be China’s Black Monday. What’s at stake is not just trillions of dollars—it could be the legitimacy of the Communist Party of China (CCP). To date, China has maintained strong growth, with only occasional stumbles, for over 30 years. Even during the Global Financial Crisis, with a drop in exports and its knock-on effect in manufacturing, the party’s economic planners pulled a variety of levers to maintain the official growth rate at seven percent or higher. China’s economy seemed bulletproof, a single shining light when the rest of the world wondered what a depression might be like. Unfortunately, this has bred a confidence in individual investors that the government can still control all aspects of the economy and that even if the nation’s two bourses seemed over-inflated, that that same government would come to the rescue, an FDIC for stock investments. Domestic Chinese investors have had few investment options in which to put their savings, one of the highest savings rates in the world. 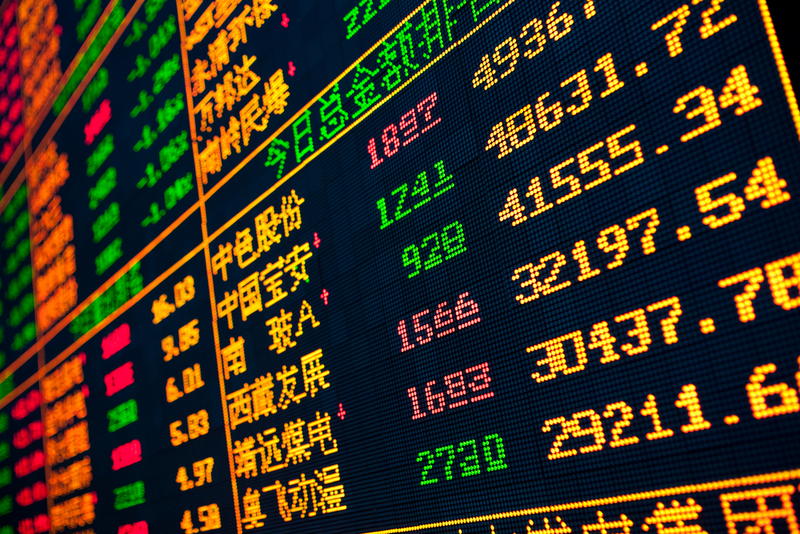 Unlike Western markets, where investors can choose “safe,” long-term stocks, the phrase chao gupiao, “stir-frying stocks,” has long been used to describe individual investor behavior—buying shares, waiting for them to rise short-term and then getting out. Encouraged by the government over the last two years to buy shares, the nation’s two stock markets went from being among the world’s poorest performing to some of its strongest but also became markets increasingly detached from their fundamentals, namely an economy that has clearly slowed. Now that government is being challenged to provide a solution, as it always has over the last 30-plus years of capitalist reforms. It started by establishing funds to start buying up shares and pushed state-owned enterprises to begin share buy-backs. The market fell, then rallied, then fell again. The ultimate outcome remains to be seen. Despite the drop, China markets are still up for the year. One thing that won’t happen: market forces will not be allowed to take their course. If the Chinese government fails, then China’s population may start wondering what else it can’t control and won’t or can’t fix. But if the crisis passes, it may emerge newly emboldened, and imbued with the restored faith of a people that has seen it face its greatest challenge and succeed.